We have many options to help you achieve your English language goals. We offer various programs to fit your needs. ON CAMPUS OR ONLINE. Centrally located in North Carolina, American Language Academy-Greensboro is ALA's main campus in the United States. ALA's Greensboro campus is accredited by the Commission on English Language Program Accreditation through 2028 and is authorized under US Federal law to enroll nonimmigrant students and issue the Form I-20. ALA-Greensboro offers Intensive English to international non-native English speakers and US residents who seek to increase their English proficiency for academic, professional, and social purposes. Students receive integrated English language training in the areas of listening, reading, writing, speaking, vocabulary and grammar. In addition, students learn critical thinking and problem-solving skills, critical listening and reading skills, research skills, and expository and argumentative academic writing, while engaging in academic tasks they will perform and encounter in English-speaking higher education institutions. In addition to the Intensive English Program on campus and online, ALA-Greensboro offers the English for Academic Purposes Program for part-time students, Customized English and Tutoring, and English Camps and Tours. Intensive English Levels 1-3 and English for Academic Purposes Levels 1-3 can be taken online. While attending English language courses at ALA-Greensboro our students become a part of a diverse community of international students who share the same passion for education, similar career goals, and interests. Our international students cultivate lifelong friendships with other international students from other countries and learn American culture first hand and participate in campus recreational and social events, and Experiential Learning activities. Our campus is easily accessible by public transportation and near restaurants, shops, and independent housing. Students also have access to nearby off campus parks, recreation, museums, entertainment venues, shopping and more. For more information about ALA-Greensboro contact our office at 336-285-7318 or admissions@ala.edu. 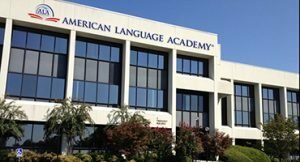 American Language Academy-Greensboro is accredited by the Commission on English Language Program Accreditation for the period April 2018 through April 2028 and agrees to uphold the CEA Standards for English Language Programs and Institutions. CEA is recognized by the U.S. Secretary of Education as a nationally recognized accrediting agency for English language programs and institutions in the U.S. For further information about this accreditation, please contact CEA, 1001 N. Fairfax Street, Suite 630, Alexandria, VA 22314, (703) 665-3400, www.cea-accredit.org.